← “DON’T YOU BELIEVE IT? I BELIEVE IT”, FUNNY, SO WHAT DO YOU BELIEVE IN ? WE ABSOLUTELY SHOULD BELIEVE SOME STUFF. 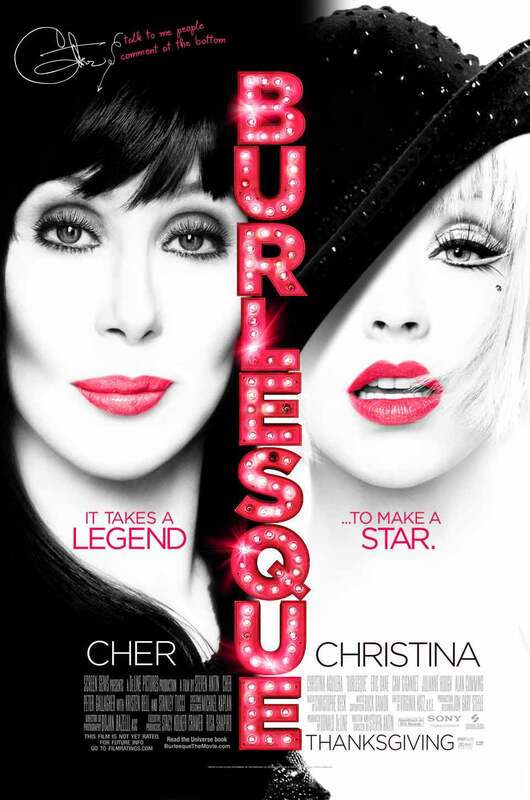 Last night, I saw a movie named “Burlesque” features Cher and Christina Aguilera, the latter is one of my favor singer, blonde, ethereal looking and voice, talented, amazing. Well, I dunno whether you have seen it or not, Burlesque is a night club in L.A, so this a story about a young lady chased her dream and love in big city, it really reminded me of another movie, “coyote ugly” one of my favor movie, “coyote ugly” is the name of a bar as well, violet is a Jersey girl, her dream is being a song writer, she has talent and passion, so she left home and went to New York city. But dream is not easy to be come true, after being refused by some music corporation several times, violet was losing confidence in her dream, even sing in a bar, she was too nervous to sing in front of customers, the worst situation was that her rent room was stolen by robber (“burlesque” got the same scene, interesting ), no cash left, she was left stranded. An occasional chance, she got a job in a bar named “coyote ugly”, and in there, she met some other girls, some very friendly, some not really……the movie had a happy ending, finally voilet’s dream came true, and she also got a beautiful love and cherished friendship. It’s nice, right? and allot nice soundtracks in the movie, like “can’t fight the moonlight”, “unbelievable”……I collected the DVD. I like the story about dream come true, specially about the New York city, I have heard that there is a real “Coyote Ugly” in Vegas, or somewhere. And “Burlesque” is more like a broadway musical, I like musical, I like vibrant movies, singing and dancing, “singin’ in the rain” the classic, I dream i can dance like them like Gene kelly one day, and “the sound of music” and other good movies, oh, don’t forget Disney movies, be famous with great soundtracks… speaking of “Burlesque” , Christina in this movie showed her unbelievable amazing voice, how can a blonde could sing like that? I was shocked, absolutely, since many many years ago, the first time i heard her amazing sound, i think that were “reflection” and “i turn to you”, the former is the soundtrack of a Disney movie about a chinese true story in ancient, “Mulan”. I’m glad that Christina have not changed for so many years. Although she had some troubles before just like most super stars, any way, there is a healthy vibrant Christina singing and dancing on the stage, great show. “Burlesque” and “Coyote Ugly”, both of them make me refreshing, you can’t deny that music got a mystery power, music can give people the chance to be escaped from the reality life, bring them to a wonderland, awesome. If you ask me what have you got from this kind of movies? well, i suppose, holding your dreams, cherishing your dreams, dreams are the best wealth we got. I hope you like both of the movies and having a great weekend. By the way, If you have no special plan in your weekend schedule. Watching movie is a good choice.